At Poverty Bay Coffee Company we are 100% committed to supporting farmers who are 100% committed to sustainable agriculture. We do this by giving the coffee farmers a sustainable price for the world-class coffee they nurture and harvest. Also, by working with independent importers like San Cristobal and Jungle Tech who bring the best sustainable, direct trade, shade grown coffees to market, we at Poverty Bay are able to support small-scale coffee cooperatives. You, as the coffee consumer, can trust that your cup of coffee is improving the lives of farmers and protecting our natural resources. It is this relationship that is responsible for the fact that our coffees are among the best you will find anywhere in the world. It is our core belief that quality and integrity can, and should, go hand in hand. Every bean we buy and every bean we roast is proof. By supporting Poverty Bay Coffee Company, you too are supporting the farmers and their land. Our Story - Sustainable Coffee, Shade Grown Coffee, Direct Trade Coffee. We live in a time when doing all you can personally and as a business to reduce our carbon footprint is vital. We believe that every action, no matter how minute, is impactful. 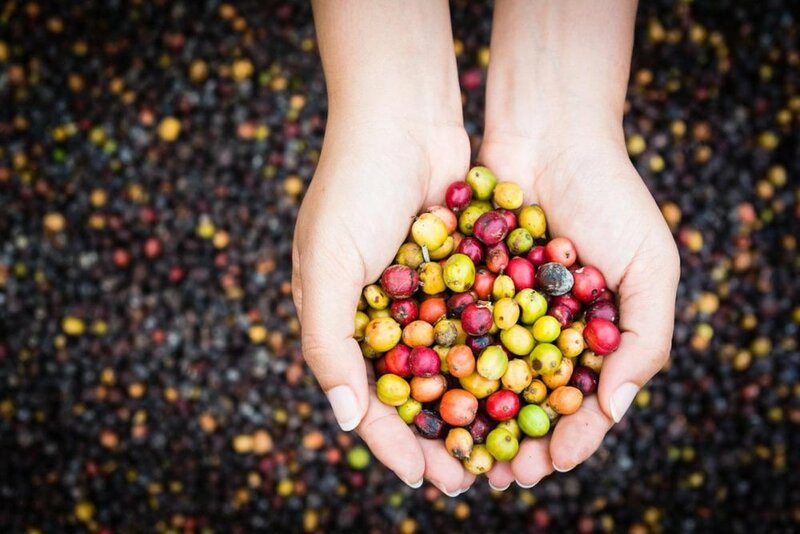 Read more to see what providing sustainable coffee really means and how you can support it. Cold brew coffee concentrate at Poverty Bay starts with the highest quality Arabica coffee beans. Looking for something strong yet smooth that will still taste great as the ice in your coffee drink melts? Our deep, rich, and fresh espresso flavor profile is perfect for any iced-coffee beverage. Using Dan's Cold Brewed Espresso you can make your favorite iced-coffee drink at home for less that half the price using cold brew coffee concentrate. Located Off the Beaten Path - We have been in the business of serving the community with all its coffee and tea needs since 1989. Our family-owned and operated business roasts coffee daily to bring you the freshest selection of coffees and proprietary blends. In addition, we offer fresh pastries, soups, sandwiches and gourmet salads. We roast to order so that your coffee beans are as fresh as possible. As a small-batch micro-roaster, we believe the fresher the better. That means we roast the raw, 100% Arabica beans the day you order them and deliver thereafter, check out our top-rated roasted coffee beans options including certified organic roasted coffee beans, the best french roast, and more! This could actually be the best coffee blog, depending on what type of coffee blog content you’re looking to read. Our authors are genuine, experienced, coffee roasters giving you a fresh look at some of the biggest coffee industry trends. We urge you try our coffee so you can experience the rich coffee flavors as you’re reading through our coffee blog. Step-by-step coffee guide - how to choose your coffee beans. Choosing your coffee beans can be challenging with all of the options, flavors, and types of coffee out there. There is a wide variety of gourmet coffee beans on the market but answering the question what is the best ground coffee and understanding the flavor guides that come with each type of roast is crucial to finding the perfect coffee bean for the right meal, the right season, and the right reason. In this step-by-step guide to coffee beans, we will talk through a few differences to help your decision. Cold Brew Coffee is very popular. In fact, it’s one of the longest standing ‘trends’ the coffee industry has seen ever. We think it is here to stay and although we make the MOST incredible cold brew coffee concentrate ourselves, we thought some of our readers might want to learn ‘How to make cold brew coffee at home’. What is Shade Grown Coffee? Shade Grown Coffee is a term to describe coffee beans that are planted and grown under the natural tree canopy of the rainforest. This environmentally safe way to produce rich, flavorful coffee beans protects the migratory birds that inhabit the rainforest as well as many other species who depend on the rainforest’s lush ecosystem. Sign up with your email address to receive coffee news, updates, and special promotions. We respect your privacy and will not share your information with any 3rd parties.